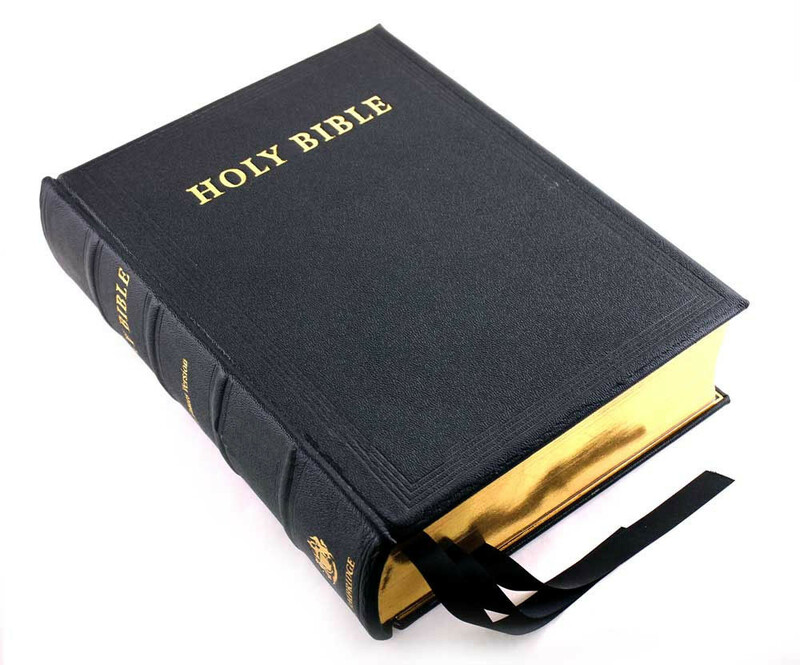 The KJV Lectern/Pulpit Bible, PICA Antique Reference Edition, has a hardcover bound with black goatskin leather. The type is specially designed to be clear, bold, and just the right size for public reading. Topical headings are at the top of the pages. Black Goatskin Leather. 11.75" x 10.00" x 4.25"